Our exceptional suites offer central air conditioning and heating with individual control, beautiful dark oak flooring, granite counters, stainless steel appliances including dishwasher, large stacked in-suite washer and dryer, designer ceramics, fixtures and finishes. The building also offers residents the added comfort and convenience of a fully equipped fitness centre, private theatre, party room, guest suite, security and a revolutionary 24/7 resident response phone line. You can call anytime and speak to a live customer service representative to address any of your needs. Underground parking is available at $125 per month. All utilities are included in the monthly rental price. To contact our team and book a tour, give us a call at (416) 447-2900 or email ! Rosewell Gardens is located at Avenue Road and Lawrence Avenue in one of the most prestigious residential neighbourhoods in Toronto. This contemporary residence is home to one and two bedroom suite options, all of which boast large windows, elegant finishings and spectacular views of the surrounding neighbourhood. Here, you will find the perfect balance of activity and leisure in a cozy, warm environment abundant with everything to suit your lifestyle needs. Elegant Furnished Bachelor Apartments at 1101 Bay! 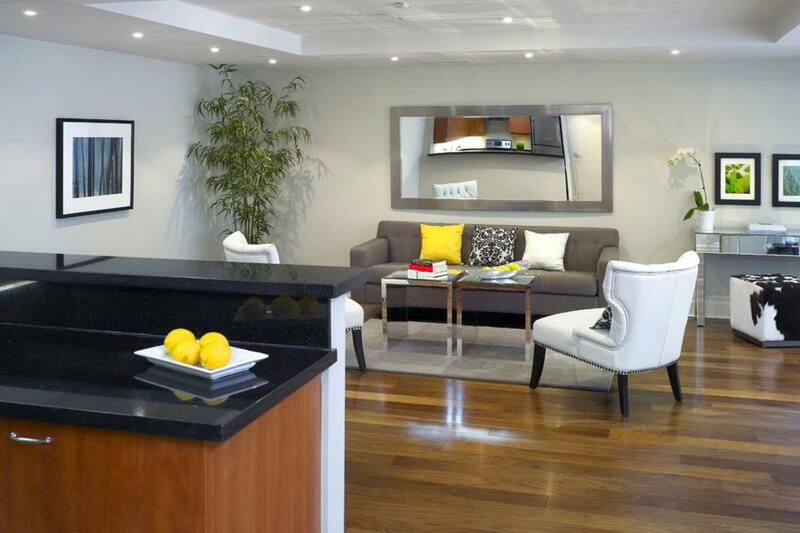 Beautiful Upgraded Bachelor Apartments at 1101 Bay in downtown Toronto!